#KGF continues its upward trend... Day 5 [#Christmas] is bigger than Day 1, Day 2, Day 3 and Day 4, which is a rarity... Fri 2.10 cr, Sat 3 cr, Sun 4.10 cr, Mon 2.90 cr, Tue 4.35 cr. Total: â‚¹ 16.45 cr. India biz. Note: HINDI version. 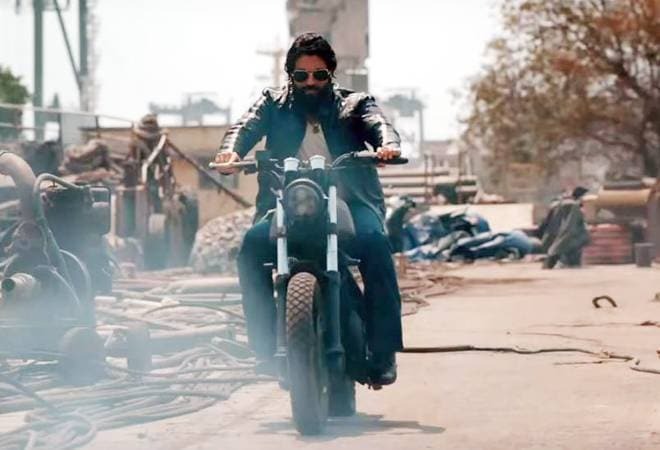 KGF: Chapter 1 is a period drama set in the backdrop of Kolar Gold Fields in the 1970s and 1980s era. The movie narrates the story of a gangster, Rocky's (played by Yash) rise from rags to riches. KGF star cast includes Srinishi, Achyuth Kumar, Malavika Avinash, Anant Nag and Vasishta Simha in vital roles.